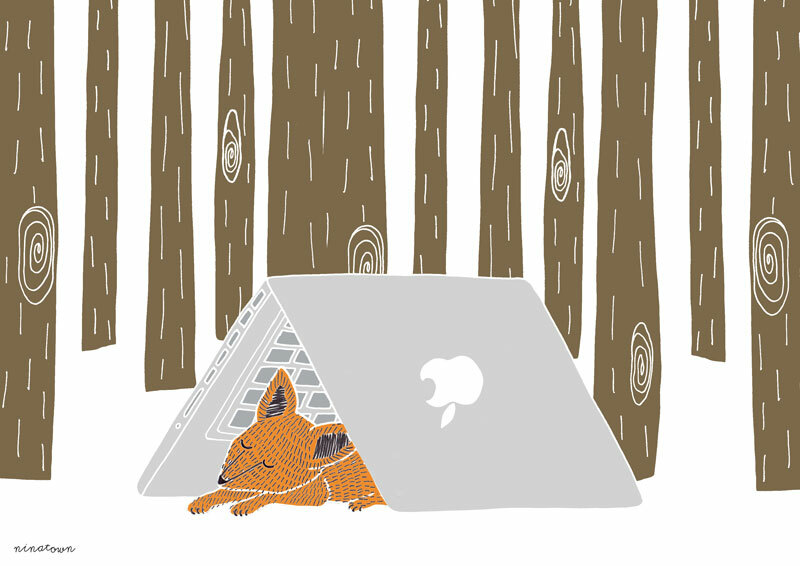 I made these two illustrations for the essay “Next Nature Services” by Bas Haring. Intentionality separates culture from nature. A dog is intentional, a fox is not; a park is intentional, a forest is not. Since trash, ruined buildings, and automated computer programs are unintentional, they are also a type of nature. Nature provides human society with valuable ‘ecosystem services’ such as water purification or erosion control. Next nature provides ecosystem services of its own, although they might not be what we expect. 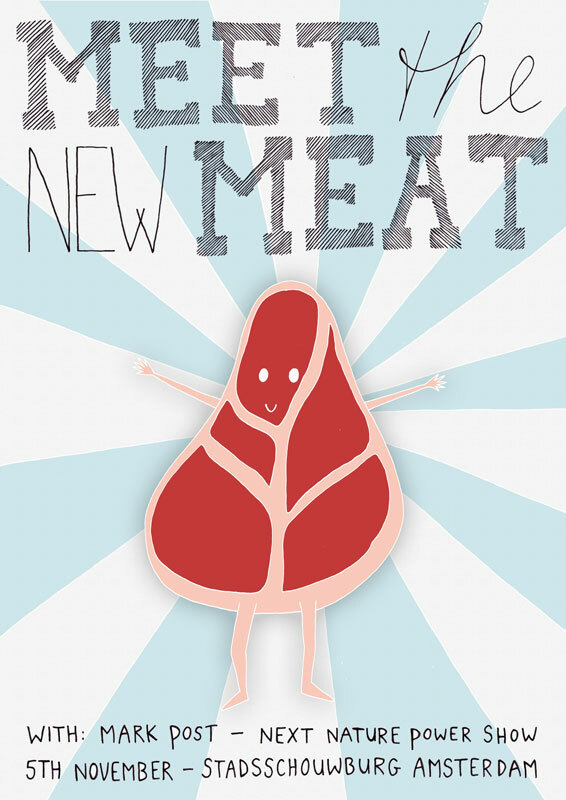 What do you think of lab-grown meat? “Yuck” might be your first reaction. According to professor Mark Post, however, it could become the environmentally friendly alternative for breeding cows and pigs for meat consumption.